Sledding and ice skating are popular at this recreational facility on Leland Parkway on county Road 16 between Main Street and Highway 169 in Blue Earth. Season opening dates are usually the first part of December and closing is generally at the end of February. Newly remodeled playground equipment ensures your children will have a fun and safe visit. The park also includes tennis court and basketball courts. Located along the Blue Earth River, the Faribault County Fairgrounds is a beautiful place to camp or to spend a family afternoon. 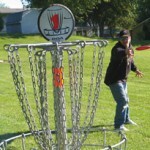 Along with playground equipment, the Fairgrounds offer ballfields, a walking/biking trail and grandstand. 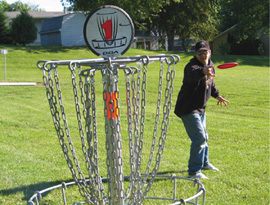 The campgrounds offers camping with electric hookups, picnic shelters and play areas. Also available are public bathrooms and showers. Rates for camping are $20/night for electrical or $10/night for tents. The County Fair takes place in the Faribault County Fairgrounds and is held in July. 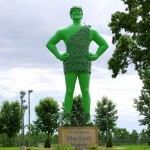 Features 55 1/2 foot-tall Green Giant Statue, rain garden, picnic tables and tourist information center. Interstate 90 west of Blue Earth exit. Features a nature trail with tunnel that connects the east and west bound rest stops. 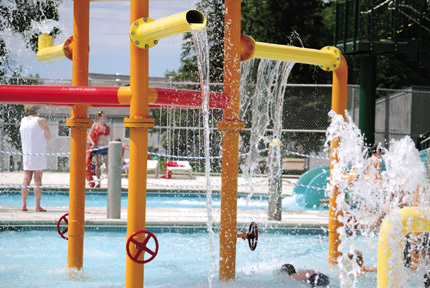 Playground equipment, picnic tables and award-winning facilities. A gold concrete strip near the rest areas marks the point where the last concrete was laid connecting America’s longest highway. 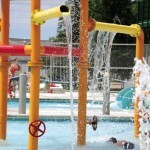 Heated swimming pool, wading pool, basketball courts, tennis courts, playground equipment, restrooms, shelter house, picnic tables, cross country skiing and hiking trails. Located at Fourteenth Street and Main in Putnam Park. The Blue Earth Municipal Swimming Pool is located in Putnam Park on the south end of Main Street. The Municipal Pool offers a leisure pool featuring a zero depth area, plunge pool, four lane lap pool, lifeguards on staff and a new bathhouse with concessions. Located in Putnam Park, 14th and South Main Streets, the Drexler Bicentennial Trail is a 1 1/3 mile trail that ventures along the Blue Earth River. The Cross Country Ski Trail is 2 3/4 miles of scenic winter enjoyment. This “Little” trail offers large excitement as the rugged unpaved trail winds along the Blue Earth River out to the I-90 rest stop. Signs will direct you to your destination. Features rolling, shaded and watered fairways and greens; attractive and comfortable clubhouse. Located on Hwy. 169 North, 4 miles north of Blue Earth. 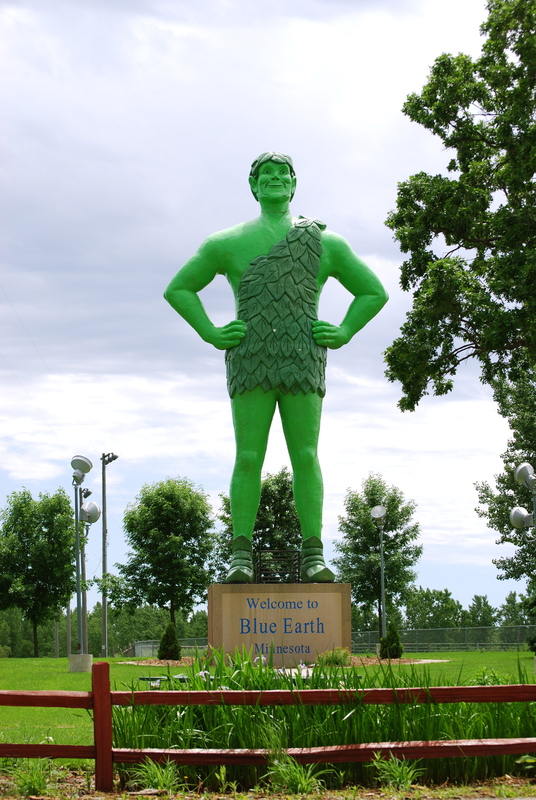 Located ¼ mile east of Blue Earth on County Road 16. The 33 acre park provides a natural setting for visitors to enjoy native prairie plants, river views, woodlands, birding and natural habitat. The Steinberg Nature Park has a ½ mile crushed limestone trail that is accessible for all users. Winter recreation is an important part of living in Minnesota. The Blue Earth Snow Rovers Snowmobile Club is located 1 1/2 miles south of Blue Earth. It connects to 100 miles of groomed trails. The Snow Rovers Snowmobile Club has a beautiful, warm and welcome club house, the only one in southern Minnesota and northern Iowa. For more information contact the Blue Earth Area Chamber of Commerce at 507-526-2916. This newly constructed hard surface non-motorized recreational trail links the Faribault County Fairgrounds with the I-90 rest stops. Total length of the trail is 2.86 miles.